Ajendra Ajay wrote to Prasoon Joshi that despite being set against the backdrop of one of the worst human tragedies, the film makes fun of Hindu sentiments. 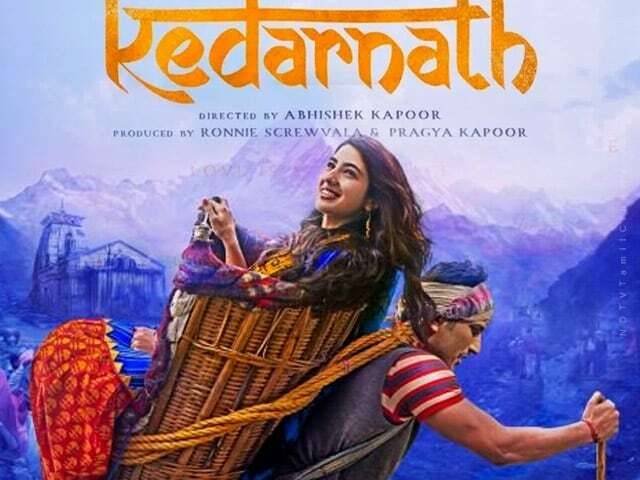 A senior BJP leader Saturday demanded a ban on "Kedarnath", an upcoming film set against the backdrop of a catastrophic deluge that hit the Himalayan shrine in 2013, alleging that it hurts the sentiments of Hindus and promotes love jihad. "By setting a romantic love story against the backdrop of a huge tragedy that occurred at Kedarnath, a centre of faith for crores of Hindus, the filmmakers have shown great disrespect to the followers of the religion" Mr Ajay told PTI. Objecting to the film depicting the love story of a Muslim porter and a Hindu pilgrim, Mr Ajay said couldn't the makers of the film find a Hindu character for the lead.